Simply Squeezed was founded in Bay View, Hawke’s Bay, in 1991 by Steve Brownlie. Brownlie sourced local fruit, focusing on oranges. “He squeezed them and delivered the juice fresh to the local hotels and cafes,” explains Adrian Barr, the CEO of Simply Squeezed. “It wasn’t long after that he realised he was onto a product that customers were really liking. The demand just grew.” From there, Brownlie built his company from the ground up. “In the mid-90s he was able to get his products into supermarket chains, and from there it really took off and blossomed,” he says. By the mid-2000’s, Simply Squeezed was a substantial business, and it has continued on that trajectory up to the present, where it is the largest chilled juice manufacture in New Zealand. 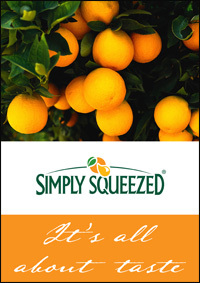 Simply Squeezed takes pride in sourcing locally. This means that their plant, employees, and the majority of raw materials that go into their products all come from New Zealand and the communities in which they operate. Simply Squeezed sources fruit locally and from around the country. With their oranges mainly supplied from the Hawke’s Bay and Gisborne regions. When seasonal supply is low or consumer demand dictates it, they select quality ingredients from around the world to blend with the local produce. Simply Squeezed employs about 100 people at present, the majority working in the production of their products. The rest are divided between management, administration, sales, and product development. “I like to say that we support about 150 families around the country,” says Barr. Simply Squeezed has also developed its own franchise network that allows them to deliver chilled product throughout New Zealand. Simply Squeezed is now New Zealand’s leading chilled juice brand. They also have several other brands under the company name, selling them under the Supreme, Arano, Bay Harvest and Allganics Brands. Barr came on board with the company in early 2009, and the company was added to Frucor Beverages in September of that same year. He is not the only one who agrees. 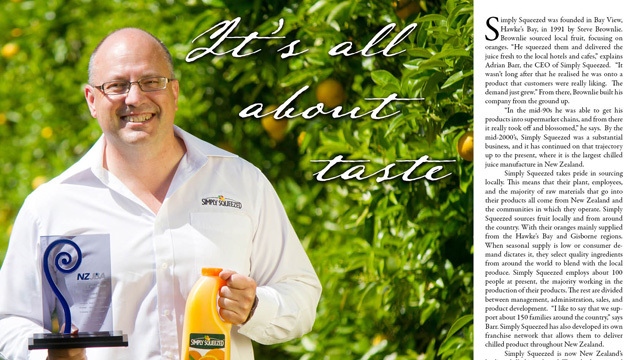 This year, Simply Squeezed Orange Juice was an Award winning Chilled Juice at the 2011 ‘New Zealand Juice and Beverage Awards’ held in Tauranga. The ‘New Zealand Juice and Beverage Awards’ recognises the best in beverages from global and local manufacturers. “Winning this award with our flagship OJ is a direct result of the amazing work our people have done sourcing fruit directly from growers, squeezing, blending with concentrates and delivering quality products to over 3000 customers daily, right up and down the country,” said Barr. “Every day for the past 20 years we have challenged ourselves to deliver New Zealand’s best tasting juices,” he adds, “And we go to extraordinary lengths to ensure that this is achieved.” They were also recognised in 2010 with two awards, and were able to maintain their standing against some tough international competition this year as well. Simply Squeezed might take pride in using New Zealand produce where it can for great tasting products, but they do not plan on remaining still when it comes to new product development. “We have a good number of people onboard who have been involved in the juice industry for some time,” says Barr. “We trust their pallet. We take our ideas from our own people and teams, and we also listen to our customers in order to identify any gaps that we might have in our catalogue.” Once Simply Squeeze has gathered this information they bring it to their Food Technologist, who immediately sets to work. “From these insights, we develop new products that we can start tasting and testing,” he says. Their connections to the industry are served at every level of the company, and Barr thinks that their franchisees play a very important role in merchandising, sales, and the overall image of the company. 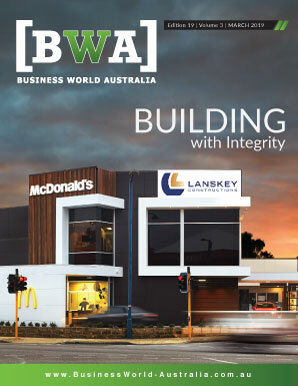 “We have a very close relationship with our franchisees, and they have close relationships to customers,” he says. This is a very two way relationship, with Simply Squeezed asking for, and valuing, the ideas and opinions of those they work with. The other place they are looking to expand is at home. “There are a lot of orange juices in theNew Zealandmarket, but what we want to do is expand the pallet of consumers here. There are some other great juice flavours,” says Barr. “Recently we have launched a range of products with an apple base with nectarine, another with blueberries, and one with grapefruit and lemon.” Barr believes that by offering these options, consumers will naturally begin to try new things.